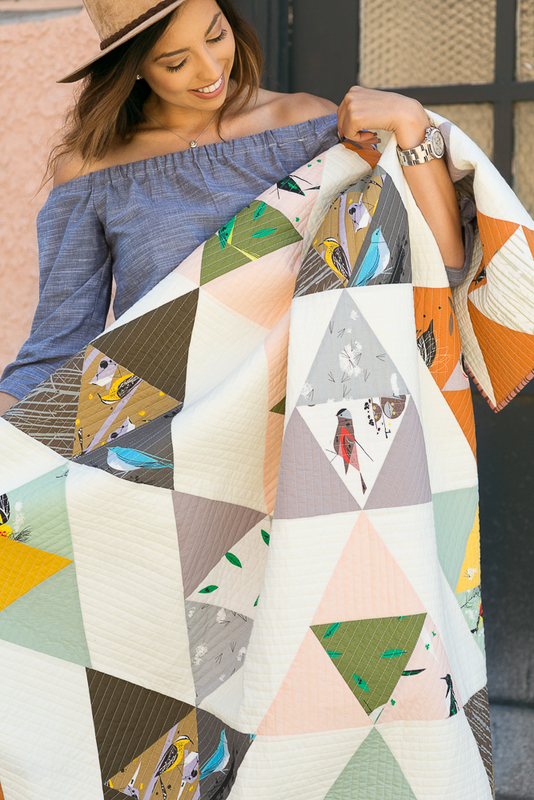 This quilt is designed to highlight the large-scale patterns found in the fabric line. 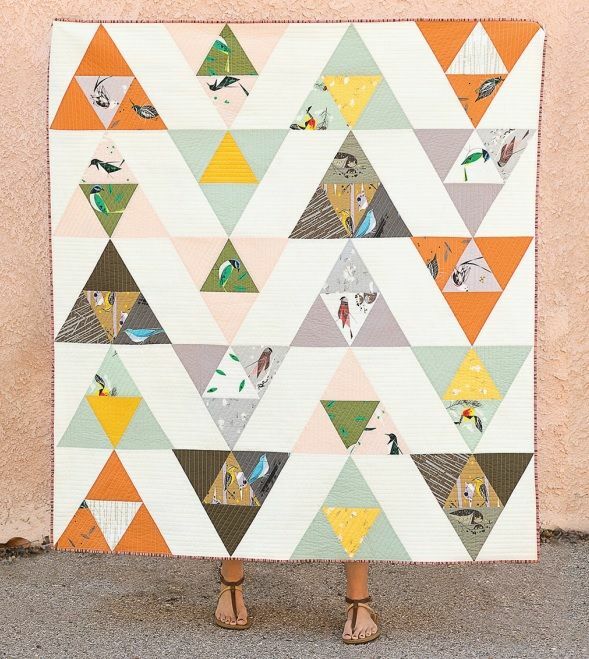 Each triangle is about 6" finished – allowing for each graphic bird to be displayed fully. 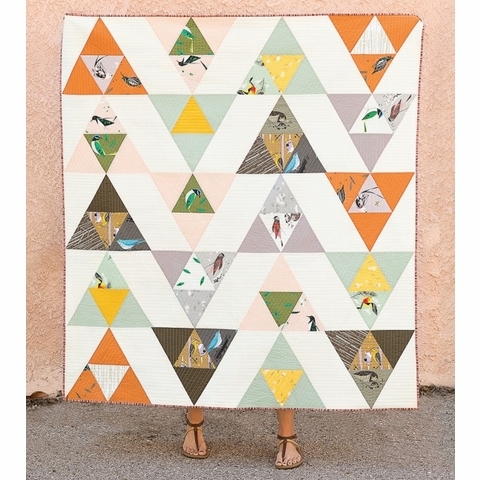 Through fussy cutting*, each sweet little birdie fits nicely into its own triangle. *Fussy Cutting is when you cut a piece of fabric to target a specific area of a print, rather than cutting the yardage into random pieces. Suzy suggests using a clear triangle ruler so that you can see the birds as you cut them out.